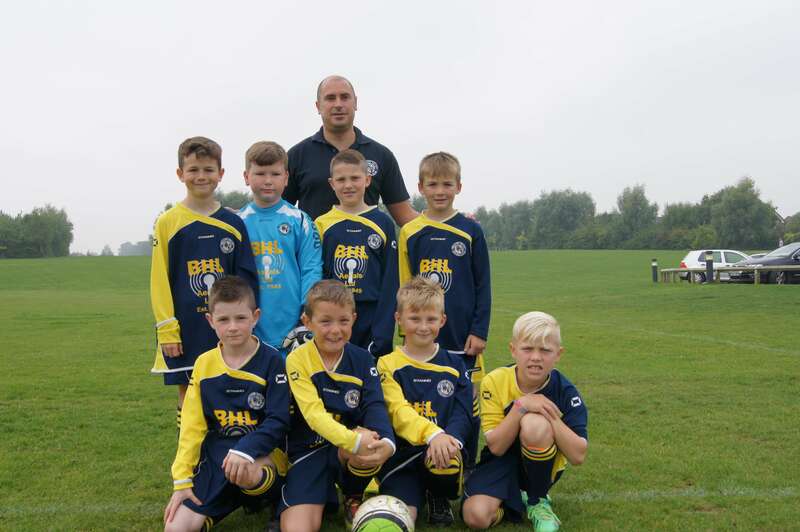 Formed originally in 2012 the then U7’s Yellows now U9’s consisted of six players four of which are still present and correct in today’s squad. From the outset the team was coached by Phil Sherriden assisted by myself (Howard Bowles) after being roped in to help one Friday night down at the field of dreams by my son Jake. Phil unfortunately had to hang up his boots leaving me to temporarily take charge. Three seasons on I’m still running the team ably assisted by Jez Boxall (another roped in dad). We have ten lovely boys that turn out week in week out in all weathers to represent our fantastic professional and friendly family club along with a their parents who’s support is unrelenting. The boys have evolved into a cracking little side who last season enjoyed their best season since forming scoring 94 times in eighteen matches.